The Indian market has huge potential in technical textiles, and by far, China is the biggest market for technical textiles today. 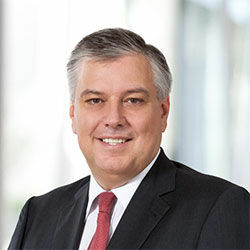 Eric Scholler, member of the executive board of Groz-Beckert discusses the potential markets for technical textiles and Groz Beckert as a reliable supplier for the same. TT: Which are the core areas that you work in technical textiles (nonwovens) and what is the growth potential in each niche? We see a good growth potential for Indian technical textiles in automotive, geotextiles and to some extent artificial leather. For reasons of sustainability, research of natural fibres could be increased. TT: Which are your biggest markets, and where does Asia feature in your growth strategy? Which are the countries seeking more of technical textiles? By far, China is the biggest market today. But India seems likely to grow, due to its own market potential. Other Asian countries are growing due to manufacturing relocations, for example Japan and Korea. We had significant growth in India until 2012, and expect growth again for 2015 and the following years. It's confidential, but it is a significant amount. TT: Where are your manufacturing hubs? What percentage of your product lines are manufactured in Asia? This depends on division and product sector. Groz-Beckert produces in Europe (Germany, Belgium, Portugal, Czech Republic), Asia (China, India, Vietnam) and America (USA). The automotive sector is very innovative - with both decorative and functional textiles. Big reserves are in geotextile applications, where high value textiles save costs and improve durability of roads, river banks and landfills. Higher demands on environmental protection will boost the filtration segment. TT: What are the trends in felting, tufting and carding segment, and what new can be expected from this field? How has the market for the same evolved over the years? Less material consumption and increasing expectations in performance and optics. TT: Which domestic or global fairs do you attend, and what do you expect to gain from there? For the division - nonwovens, we have leading trade fairs like ITMA Europe this year in Italy, Techtextil in Germany, IDEA in the USA and ITMA Asia in China. Our goal at these leading trade fairs is to showcase our new developments and to demonstrate our capability to serve customers from all fields of textiles. TT: What are the qualities that distinguish Groz-Beckert's products from your competitors? What is the most revolutionary work by Groz-Beckert in the past years that have greatly changed the industry? From the service point of view, a worldwide net of affiliated companies and sales representatives in almost all countries; and from the product side, high availability, best possible process stability, continuously new developments and an unreached product portfolio for all kinds of applications, definitely distinguish Groz-Beckert from our competitors. TT: What are your views on sustainability, and how can sustainability be integrated into the production process? Sustainability is one of the top topics of our industry. Technical textiles replace heavier solid material, and offer new perspectives of durability and comfort by the reduced use of raw material at the same time. Natural fibres are gaining more and more importance as they are fully recyclable, and still offer long-term performance in many fields.